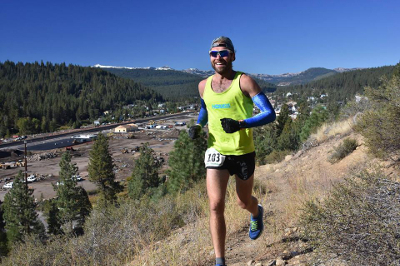 Adam Kimble is an ultrarunner and motivational speaker from Tahoe City, CA. He previously spent three years as an Event Director in Chicago, planning festivals and events with up to 75,000 participants. After recognizing his calling was not in event planning, he took a leap of faith and followed his passion for travel, spending a year traveling internationally with his wife, Karen. During that year abroad, Adam won and set the course record for the 4Deserts Gobi March 250k, an international ultramarathon with competitors from over 40 countries. Upon their return to the US, Adam’s life-trajectory was completely altered and he resolved to pursue ultrarunning and motivational speaking full-time.